SAN JUAN, Puerto Rico -- Puerto Rican officials had not decided whether the U.S. island territory can make a looming $355 million bond payment a day before its due date, the governor said Monday. The officials were in negotiations with creditors and it was still too early to say whether the Puerto Rico Government Development Bank would make a payment due Tuesday, Gov. Alejandro Garcia-Padilla told reporters. Garcia did not provide details of the negotiations, only that he would make an announcement no later than Tuesday based on the outcome of the talks. "There is more than one alternative and more than one action," he said. "I have to see which is best for Puerto Ricans." The GDB has been warning for weeks that it was in danger of running out of money by the end of the year and the government has been withholding payments to suppliers and tax rebates to preserve cash flow. Failure to make the payment would be an ominous turn for the territory. 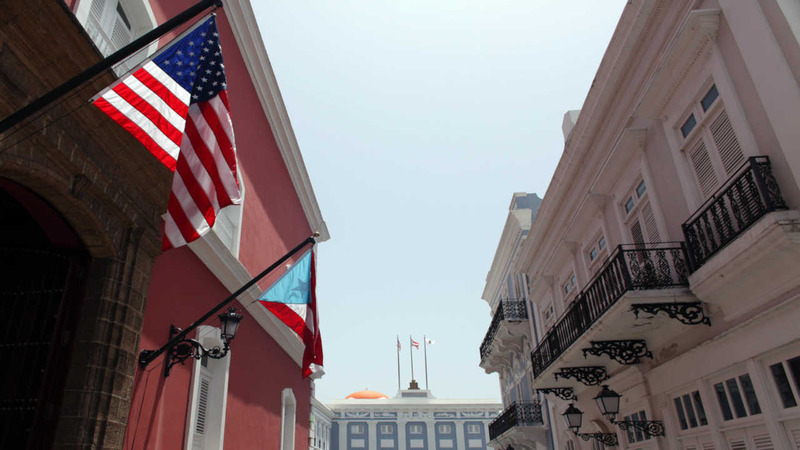 The island has a shrinking economy and a total public debt of $72 billion that Garcia has previously described as unpayable without a restructuring.